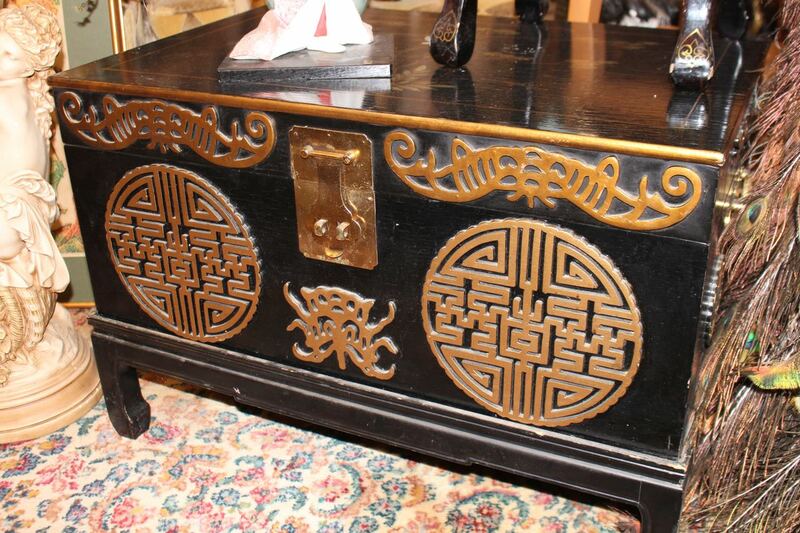 This mid-century Japanese lacquer trunk is one of a pair. We are selling them individually but they would be great side tables if you need a matching pair. They sit on separate bracket bases. Original hardware. Approximately 2′ long x 18″ tall. Good condition with some minor wear to the surface.